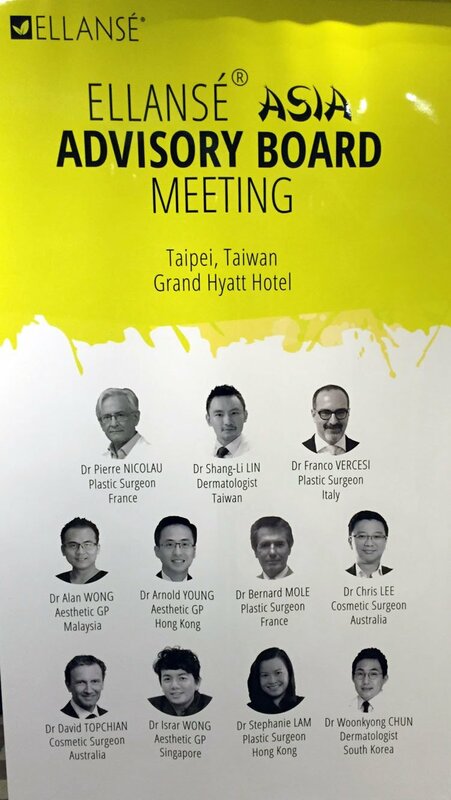 Being one of the pioneer users of Radiesse (Calcium Hydroxyapatite) in Singapore in 2012 (when Radiesse was still being sold to doctors via a local distributor in Singapore) , and one of the first doctors who had intense experience with Radiesse (using around 375 cc per year) since 2012, I was invited by Merz Aesthetics Asia Pacific (the principal company from Germany) to hold a Radiesse training session for key dermatologists and plastic surgeons in Ho Chi Minh City, Vietnam on 17/03/2016. 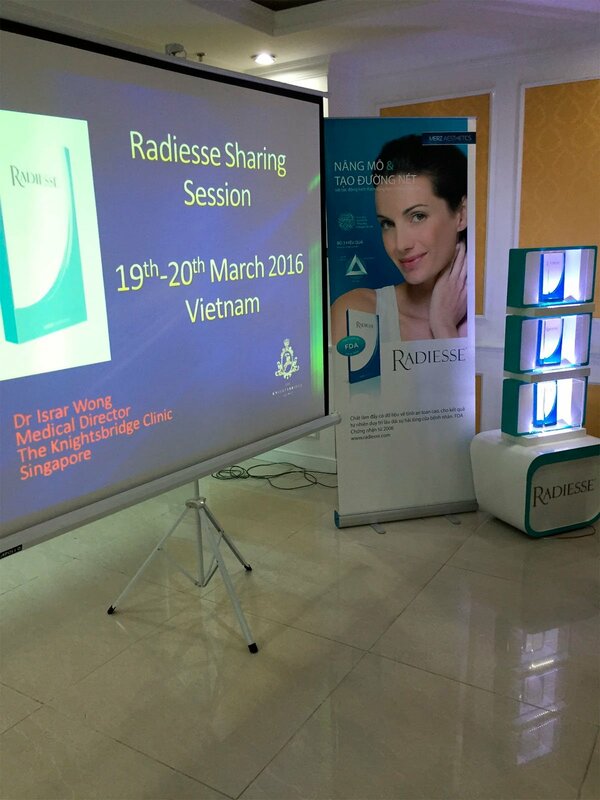 Radiesse was already being used in Vietnam then but it wasn’t used much by the doctors there because of the lack of interest on the side of the Vietnam distributor, in promoting the fantastic, versatile product. 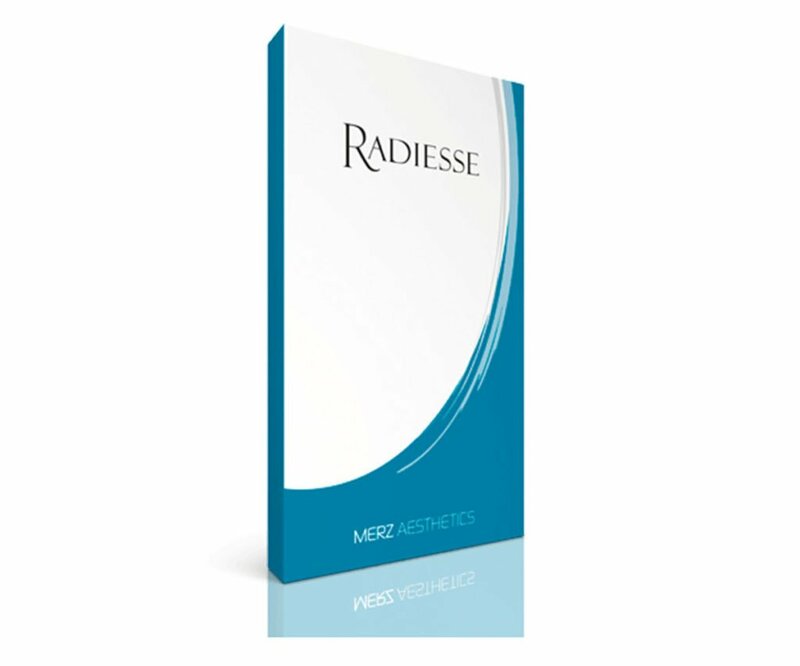 Merz Aesthetics wanted to introduce the power of Radiesse both as a facial sculptor ( nose, chin) and also as a collagen-stimulating filler, the first of its kind with an immediate and long-lasting result. 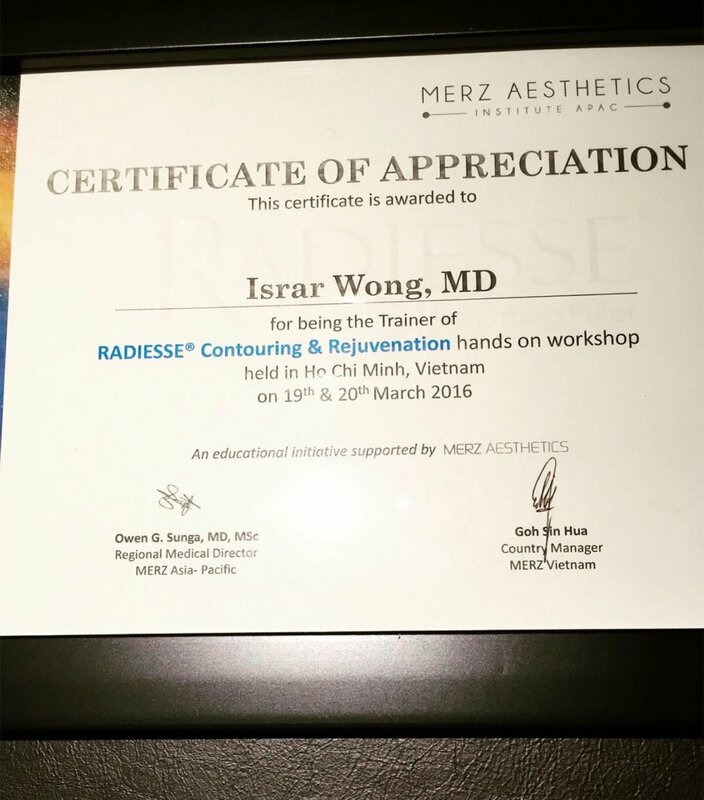 How did I get started on Radiesse? I first started using Radiesse in 2012 after attending the First Malaysia-Singapore Conference of Aesthetic Medicine : “Aesthetic Medicine Without Boundaries’’, where Dr Alan Wong of Malaysia gave an eye-opening lecture on using Radiesse to sculpt the nose and chin. 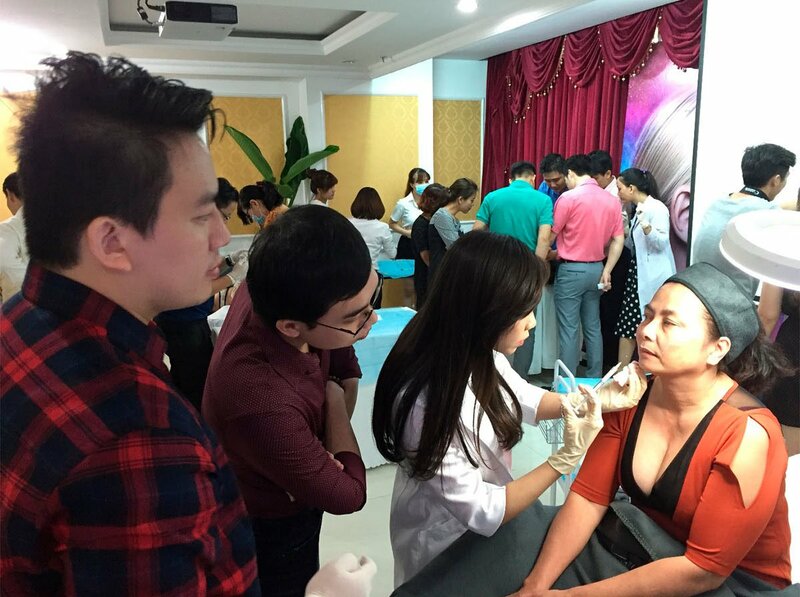 At that time, most options for non-surgical chin and nose-jobs were mainly Hyaluronic Acid, which really isn’t the best for such areas which require projection, stability, non-movement. 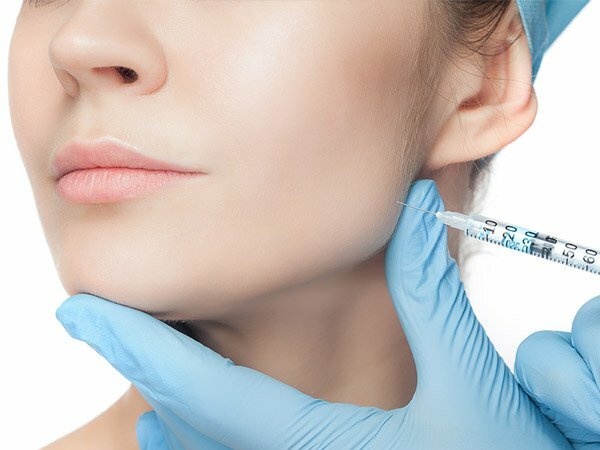 Hyaluronic Acid Fillers, especially when injected on the nasal bridge, have a tendency to spread sideways. It really should not be used for nasal bridge enhancement. 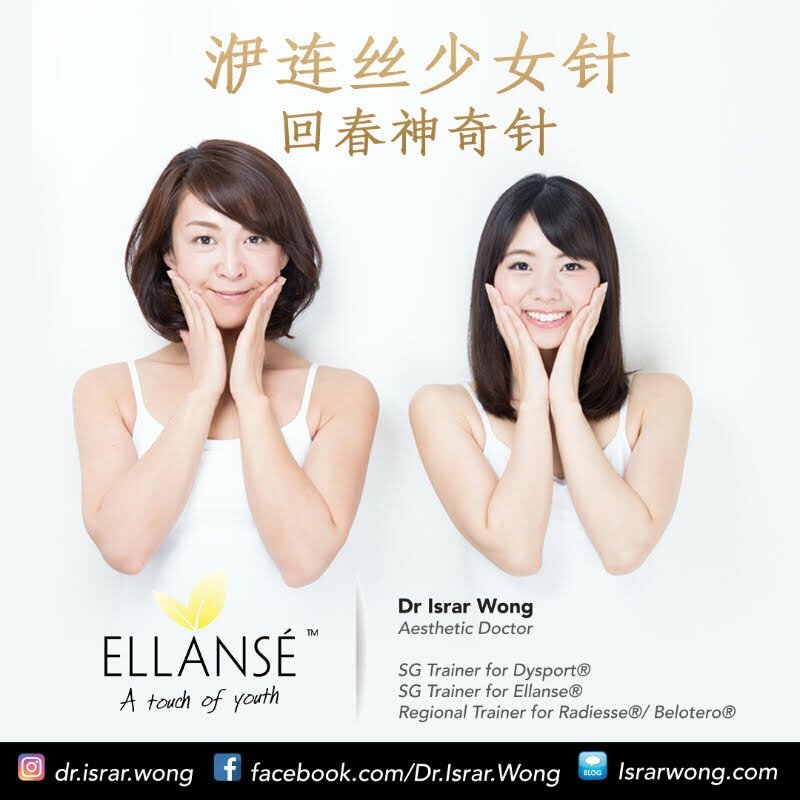 I was on the lookout for a filler that could give my patients the highest level of satisfaction and Dr Alan Wong answered my inner-most queries with that fantastic lecture in KL, Malaysia. Loved the Radiesse light-box display so much that I wanted to bring it back to SG! Did you know that only Vietnamese dermatologists and plastic surgeons are allowed to inject fillers for patients? 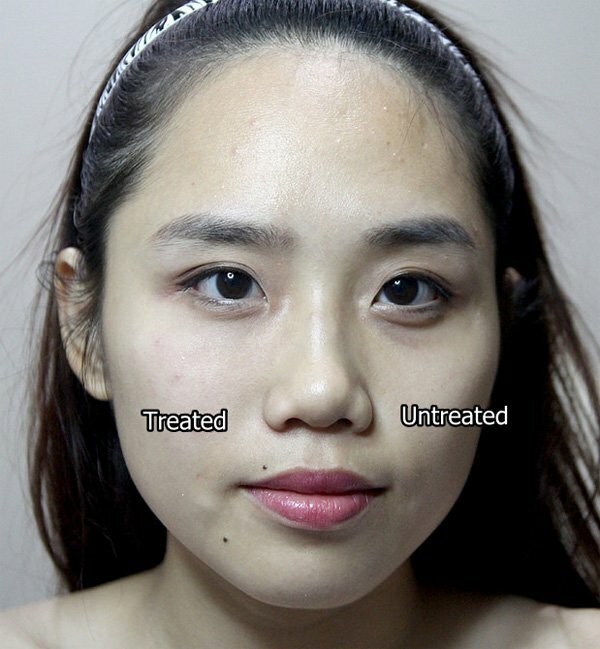 Their main market is acne and skin lasers treatment due to the harsh sun and dusty environment. 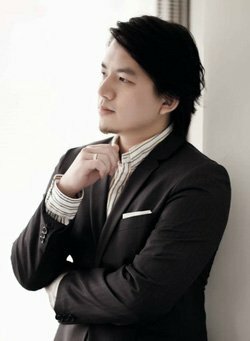 The patients there are still very much into surgical procedures and their number 1 plastic surgical procedure: rhinoplasty and breast-enhancement. 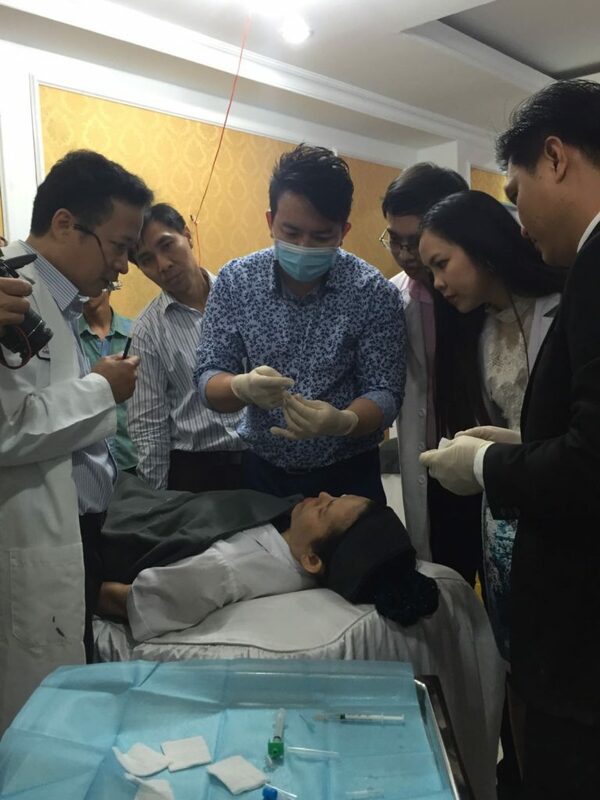 I went through basic theories about filler injections consisting of ‘’3 RIGHTS’’ : the doctor must have the right knowledge and technique, to choose the right product, for the right patient. 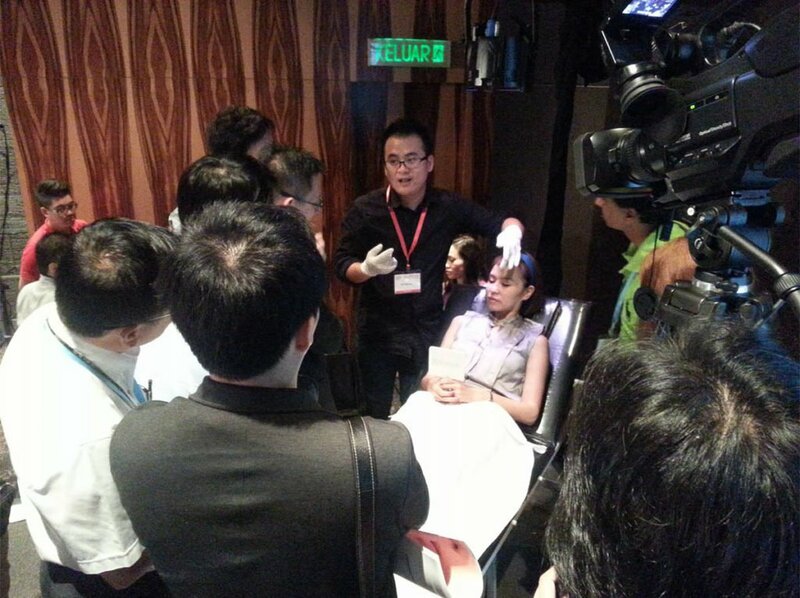 Thereafter, I demonstrated the key techniques of using Radiesse for cheek volumization and lifting, nasal augmentation, chin re-shaping to achieve the V-Face Contour. It was a great 2 day training trip to share the under-promoted power of Radiesse Calcium Hydroxyapatite Collagen-Stimulating Filler, and I am really glad that my ‘’students’’ have become KOLs (Key Opinion Leaders) in Radiesse injections in Vietnam. Radiesse is always misunderstood to be scary, to cause a lot of complications but it is DEFINITELY NOT SO, if the 3 Rs mentioned above are adhered to. 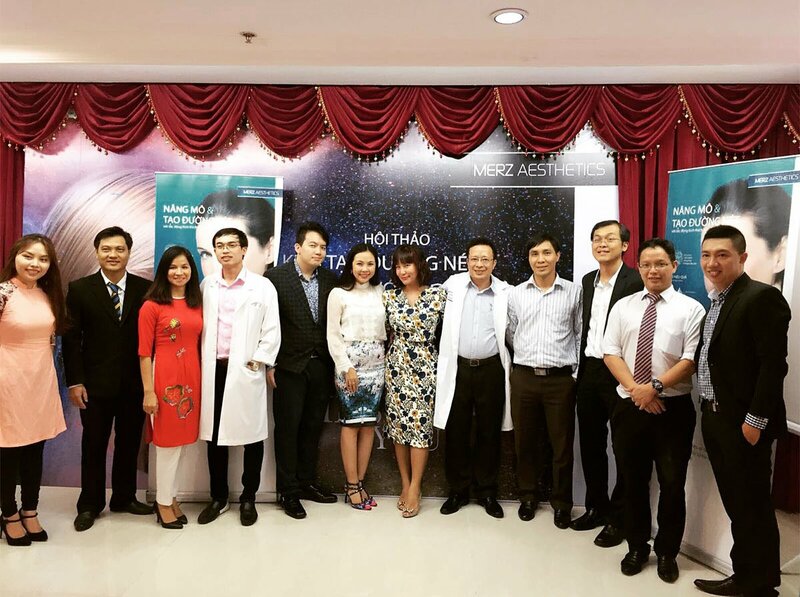 Read about Winter Chee’s experience with Radiesse Non-Surgical Rhinoplasty (Nose-Job) here. 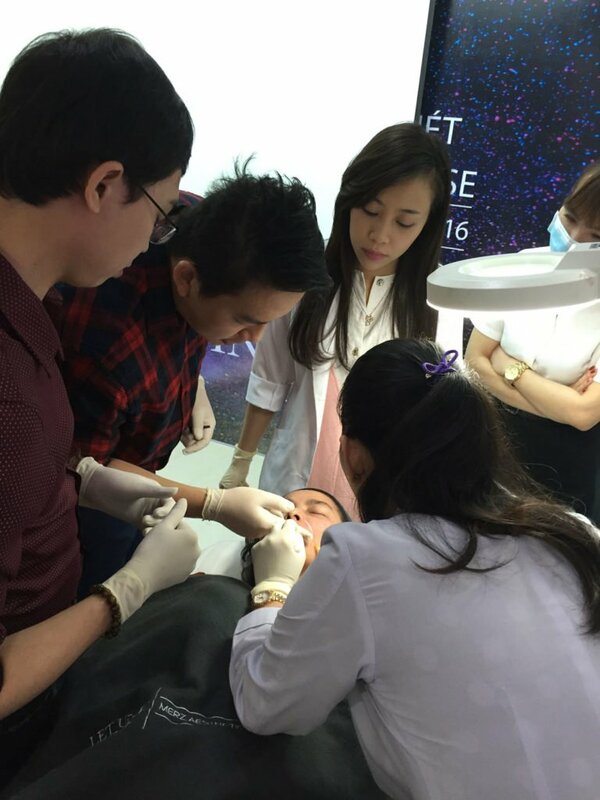 Read about Angeline’s experience with Radiesse Nose Bridge Augmentation & Enhancement here.